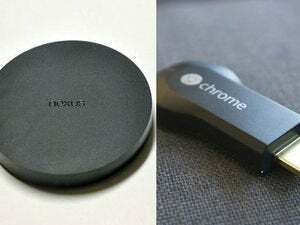 Google’s Chromecast dongle made it easy to beam video from your PC or mobile device straight to your TV, and now the company’s hoping to do the same for speakers with its new Google Cast for Audio. Announced on the Google Chrome blog to coincide with CES announcements, Google Cast for Audio will behave identically to how Google Cast functions with Chromecast. You’ll simply need to tap the “Cast” button in a compatible app, then select a compatible device to toss the stream at. As with Chromecast, you won’t truly be beaming the content from your phone to the audio equipment; instead, sending the Cast signal tells the gear to start streaming content straight from the cloud, cutting out the middle man. Your pals will be able to get in on the action by Casting from apps from their phones, as well, calling the specter of the never-launched Nexus Q to mind. Various “Google Cast Ready” soundbars, speakers, and receivers from Sony, LG, and Denon will be the first devices to support Google’s new tech. Alas, Sonos wasn't mentioned in the post, though Google says many more audio brands will introduce Cast Ready sound gear throughout the year. 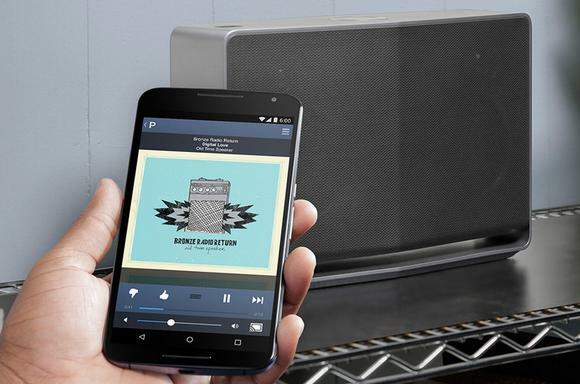 A slew of music apps already support Google Cast for Audio, including Pandora, iHeart Radio, TuneIn, Rdio, Deezer, Vevo, Songza, and Google Play Music (naturally). You can find a full list of compatible apps in the Music & Audio section of the Google Cast website. The new feature’s hitting the ground running, too: There are already 93 apps just waiting to start singing in harmony with the upcoming Cast Ready audio gear. This story, "Google reveals Cast for Audio, a Chromecast-like way to beam music to sound gear" was originally published by TechHive.